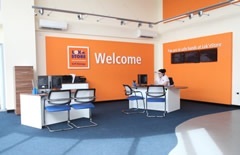 Lok'nStore has self storage centres in many other locations, the closest being Hedge End or Fareham. This store is just 9 miles from Chandlers Ford, Eastleigh, and the Eastern edge of the beautiful New Forest National Park. The historic city of Winchester is 15 miles away via the M3. Third Avenue is just off the A33 at Millbrook Road West, easily accessed from the M271, M27 and M3. Lok’nStore have had a self storage centre in Southampton since 1998 and in 2016 moved to a modern purpose built facility on Third Avenue. It has over 600 storage units on three floors, ranging in size from 12 to 300 square foot. This store serves customers from: Totten, Eling, Chapel, St.Denys, Shirley, Rownhams and Millbrook. Please check on our maps or using our store locator for your nearest storage centre. 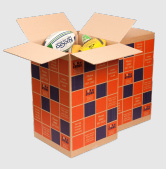 We also have storage facilities available in the nearby locations of Fareham and Hedge End. What does storage at Lok'nStore Southampton cost? Lok'nStore's prices for self storage are lower than anyone else's in the Southampton area. Lok'nStore check prices regularly and set them below anyone else's. 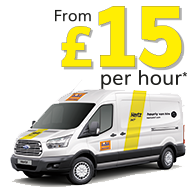 Self storage prices vary depending on when you book, the duration of your stay & payment terms and our Southampton prices are different to other centres. Please click the green button for a quote. All prices include VAT.